Barclays tell clients they are forecasting a recovery in the GBP/EUR exchange rate through 2017 as political sensitivities weigh on the Euro and an oversold Pound Sterling corrects higher once the Brexit process gets underway. The Pound has been in recovery mode against the Euro since early November as foreign exchange markets turn their gaze away from the Brexit story. Focus has shifted to the impending Trump presidency and the prospect of heightened political risks in the Eurozone ahead of what promises to be an interesting year in which many EU countries go to the polls. The shift in focus has been beneficial to the Pound as 2016 has been a testing year for those looking to buy Euros using Sterling. The GBP/EUR exchange rate has fallen from a high of 1.3675 back in January to a flash-crash low 0f ~1.06. However, a stabilisation seen since that flash-crash, and a subsequent rebound, has us believing the Pound is forming a bottom to its declines. 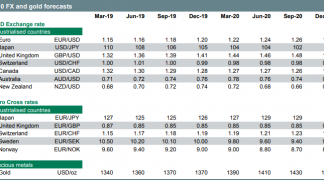 At present the pair sits near two-month highs with spot looking to test 1.17 and those making international payments looking at rates in the range of 1.1277-1.1581 depending on who you chose to send money. Analysts at Barclays appear to be in agreement having told clients on November 17 that they believe the GBP/EUR exchange rate should be able to rally over coming months. “The uncertainty over a hard-Brexit has weighed on the GBP, which is trading at a significant discount to its fair value,” says analyst Marvin Barth at Barclays in London. The view that hard-Brexit caused an undervaluation was recently shared by strategists at Nomura who observed that Pound weakness during October was "mainly sentiment driven which became excessively bearish towards the Pound driven by hard-Brexit fears, and was not fully justified by the UK’s fundamentals. We continue to believe that the bulk of the adjustment lower for the Pound is now complete." However, the timing of the recovery is key and Barclays argue that patience is required for those looking to bet on a recovery. Barth describes Sterling’s medium-term value as being extremely compelling, but notes there is a strong incentive for buyers of long-term UK investments to wait for the government to announce its Brexit negotiation plans. “This leaves the GBP exposed to further flash-crashes, particularly in periods of illiquidity, as important constitutional questions regarding the government’s path to trigger Article 50 remain in question,” says Barth. However, it is also noted that short positioning should limit the ability of GBP to extend significantly lower. 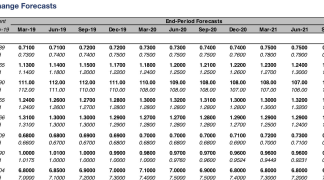 Barclays forecast EURGBP to depreciate to 0.80 by Q2 17 before reaching 0.76 by year-end 17. In GBPEUR terms, 0.80 equates to 1.25 and 0.76 to 1.3157. Daily Chart Showing live Inter-Bank Rate and Indicative Rates for International Payments. According to Barclays no currency is more exposed to both core rates steepening and the 'politics of rage' than the EUR. While the USD and GBP have seen their political headline risks pass in 2016 focus turns to Europe in 2017. "We look for further near-term EUR weakness towards 1.05 in Q4, in the lead-up to the Italian referendum, as markets begin to price into the EUR a risk of an EMU-threatening event in the next year," says Barth. However, the main driver of the EUR trend will likely be the ECB, with two-sided risks for the path of the single currency. "A miscommunication of the message that tapering is not tightening, in the context of poor euro area investment and inflation, will likely be seen as a policy mistake and result in material EUR depreciation, while further euro area resilience adds upside risks to our projected EUR path," says Barth. Under Barclays' base case, the ECB announces tapering in March but is effective in communicating that it retains the power to reflate the economy, keeping a gentle but sustained downward trend in EURUSD. 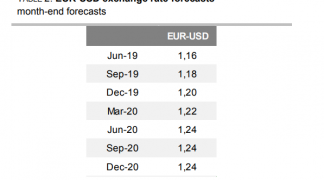 Factoring the above, analysts forecast EURUSD at 1.01 by Q2 17 and 0.99 by year-end 17. Barclays’s fellow high-street lender, Lloyds Bank, have also this week updated their commercial clients with forecasts for the Pound. They have informed clients of an upgrade to their GBP/EUR forecast. As is the case with Barclays, Lloyds are eying the ECB as being a source of Euro weakness in 2017. “The euro is expected to remain under pressure, given expectations that the ECB will announce an extension of QE next month beyond March 2017. This reflects ongoing political risks, sluggish growth and little sign as yet of significant domestic inflationary pressures, despite existing stimulus measures,” say Lloyds in a briefing on the matter. GBP/EUR is revised up to 1.19 from 1.18 in mid- 2017 and unchanged at 1.21 by the end of next year. With regards to the near-term outlook all eyes turn to the Autumn Statement, due on November 23rd. Most analaysts anticipate a fairly conservative budget, with only modest tax cut and infrastructure measures that merely lessen the amount of austerity that was originally built into the next couple of years. "However, in a Trump world of sky-high fiscal stimulus expectations, this may leave markets disappointed that the first major economy that has a chance to provide a fiscal boost ends up failing to deliver," say analysts at TD Securities. So with fiscal stimulus unlikely to carry the torch for a slowing UK economy, TD Securities believe markets may move to price in more of a monetary policy response instead. This suggests the Bank of England will again be left with the heavy lifting, and this is a negative for Sterling. Expectations for another cut to interest rates, or a boost to the quantitative easing programme, will likely see Sterling trade lower.